i have create a EA for Metatrader 4 which can be use to trade binary options at Binary.com. You can download the EA on my website www.mt4binary.bplaced.net and you can see there how to install it. Let me know how you find this EA. looks very promising. 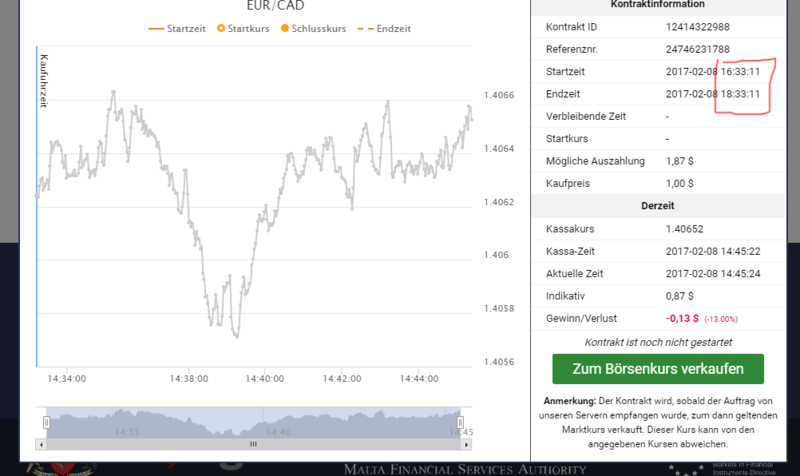 For now is weekend and no possibility to trade on forex here in EU. So, I will test it next week. I installed it anyway and looked through your explaination. It is very good to see that we will can choose our own time frame an tradevolume. The thing what it could very improve is if I could choose a signal from my own indicator what I´m using in MT4. Is it possible to make an interface for indicators which are not build in your EA? My indicator for example return only two things 1 or -1. And this would be the trigger for put and call. Thank you for sharing the EA. BTW from where are you? 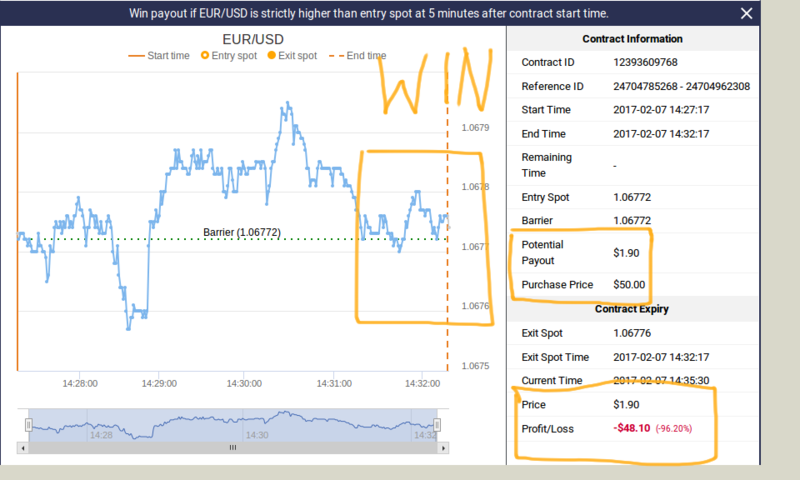 Now some infos to the updates that i have make, I have add the possibility to make backtest with the indicator signals and to get a info abouth the winrate from that selected signals, look to the attached picture to see how the result looks. I have attach you also the setting file from my backtest, i have select 2 different indicators in my backtest. Maybe you can find results with more then 51% winrate like you see in my test, maybe when you add more indicator combinations or any other idea. Could you explain how to set up the backtest. What do we have to do to see the result of backtesting? You need to run the EA in the MT4 backtester, then you can see the results for the selected signals like in my picture. i dont understand this also, i have write support a email and i wait for answer. this online chat support from binary.com is never reachable for me, have anybody from you ever reach somebody in the online chat from binary.com? First one: settings. My trading duration is set up in seconds. When I´m placing a trade at binary there are 120 minutes (!) and not 120 seconds. The next and for me the bigger problem is the following. My computer time is 15:32. 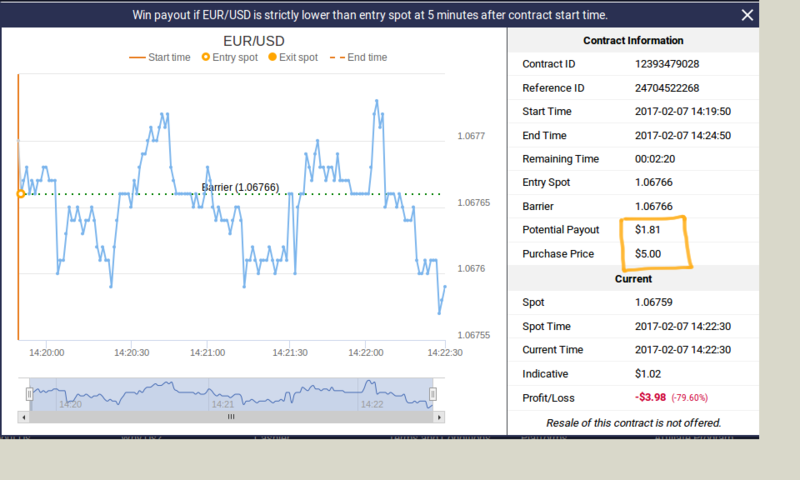 The server time in MT4 is 16:32 when I was placed my trade. At binary the trade would be placed two hours later at 16:32. Two hours later because of the time at cyprus is at the moment when I´m placing my trade two hours before. Because of different GMT Times you maybe need a personal version of this EA, you can contact me for that. you can see in my last picture i have open with 120 seconds and 300 seconds, which makes 2 minutes and 5 minutes. so check again should also work by your test. Maybe i was doing updates honey, but it works super good, or do you still have problems honey? Listen for Binary.com trades and replicate them in MT4. I am also thinking to do a product to listen for trades happening in one MT4 instance and replicate them in another MT4 instance in the same or another PC. Is anybody interested? @ssoftware : just guessing if you were telling me about the link. I buy, but the site is not accessing!